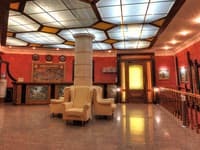 Hotel "ALFAVITO", opened in 2012, is just a 3-minute walk from the metro station “Dvorec Ukraina”. 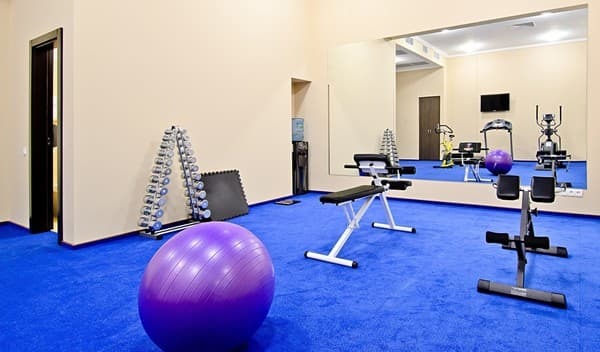 Hotel offers 251 rooms, beauty salon, massage room and fitness center. 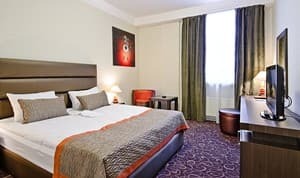 All rooms have free Wi-Fi, flat-screen TV and a sofa bed. Large windows and classic furniture create a stylish ambience in bright rooms. 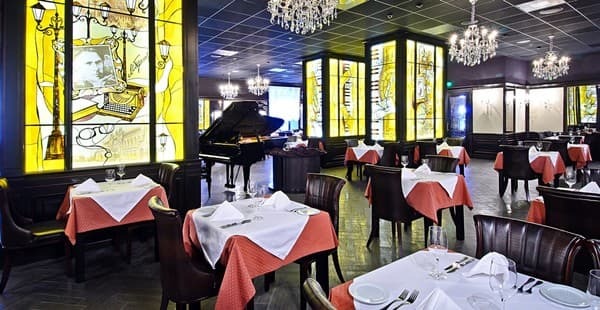 The restaurant "PIANO" serves refined international cuisine and local specialties, as well as a breakfast buffet. Guests can enjoy a variety of traditional Italian dishes in the café-bar "FORTE", or relax with their favourite drink in the lobby bar. The ride from the metro station “Dvorec Ukraina” to Nezalezhnosti Square - the main square of Kiev - takes just 10 minutes. National sport complex "Olimpiyskiy" is just a 20-minute walk away. 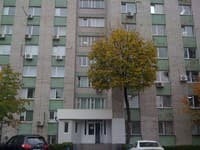 Distance from train station - 4 km, from the airport “Boryspol” - 34 km. More detailed information about local sights and transport links you can get at around the clock reception. We offer free, secured parking for 68 cars. 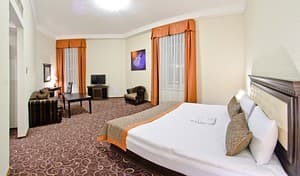 Description of the room: All rooms are ideal for business people: comfortable work place, telephone, free Wi-Fi, safe, mini-bar, air-conditioning. Description of the room: All rooms of this category are very spacious and can be relaxed on the couch without leaving your own room. 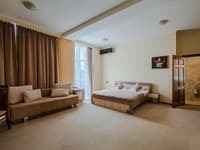 In the room of this category, the guest will undoubtedly feel the main and desired, will be able to resume the forces after a day full of business meetings or impressions of walks around Kiev. 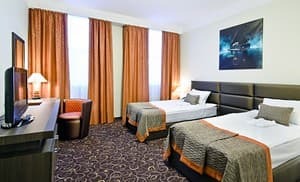 Description of the room: The style and comfort of this category of rooms will not leave indifferent the most demanding guests and it will be to the liking of all who wish to enjoy both the comfort and the design of the hotel rooms. In the room there are 2 rooms - a living room and a bedroom. Children up to 7 years, who don`t need extra bed stay free of charge and are provided with free breakfast. 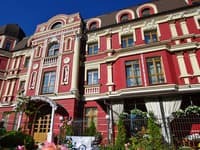 Guests will appreciate the great location of "ALFAVITO".The hotel is located next to the subway station “Dvorec Ukraina”. 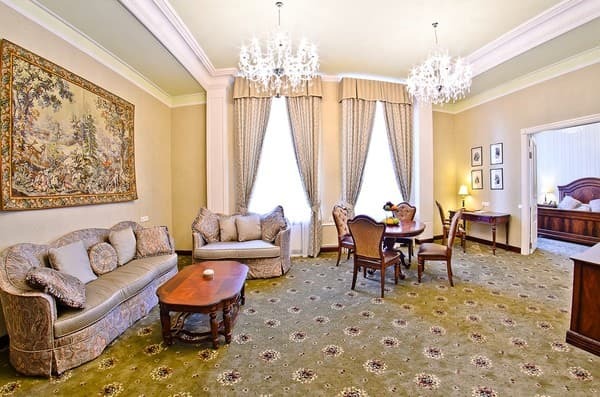 So you can easily get to the center of Kiev - to Khreschatyk Street and Nezalezhnosti Square. 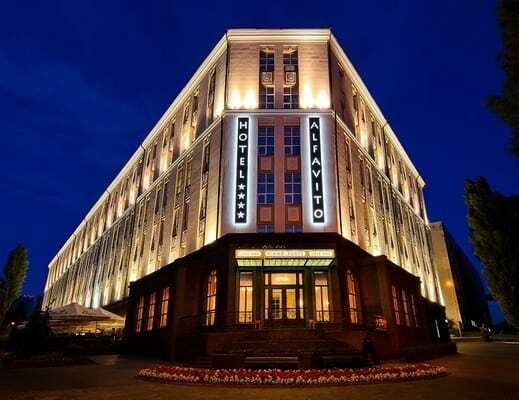 The hotel is located 15-minute walk away from the main stadium of the country - NSK " Olimpiyskiy " and is close to the major transport intersections.